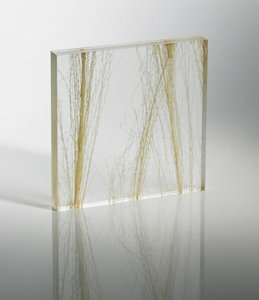 Infusion botanic panels embody aesthetically pleasing array of blossoms, petals, twigs, shells, reeds and leaves. The all natural decors are fastidiously placed by hand, highlighting. The technique offering an extraordinary effect which varies slightly from panel to panel, yet uniformly aligns when placed together. The natural material may also differ from season to season, changing in shape , colour and texture depending on harvest time. Bring the outside in with Infusion botanic.